Of Slovak origin, his family name was Petrovich and his father, István, was a butcher and innkeeper. Petőfi called Kiskunfélegyháza his native town but his actual place of birth is still being debated. He attended schools in various locations, seldom staying longer in any one of them than a few months. It was while attending school in the town of Aszód that he began to write poetry; it was there too that he became interested in acting, an interest he never abandoned. While at still another school, he grew tired of his studies, at which point his father ceased to support him. He found temporary refuge at a distant relative’s home in a village, but when he began to write love letters to the daughter of an eminent citizen, he was forced to leave. In 1839 he enlisted in the army, fell ill while on the way to his company in the Balkans, and he was discharged. With nowhere to go, he returned to his by now impoverished parents. His father urged him to learn a trade, but he joined a group of stalking actors for a season. In 1841, disillusioned with his rootless life, he resumed his academic studies in the town of Pápa. This was when his poems finally began to earn recognition, even acclaim. Unable to make a living, he resumed his wandering ways, but even in his footloose and always destitute condition he attracted the attention of important literary persons. It was not until 1844 that he was able to have a modest collection of his poems published. These represented a sharp departure from the formulaic, classicist style of poetry that the aristocracy, guardians of Hungarian literature, favored. 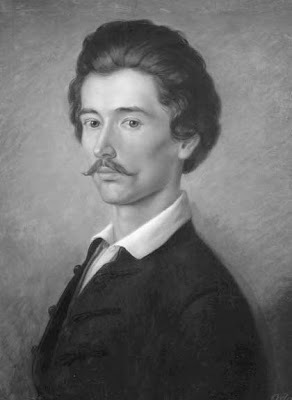 Petőfi’s poems were written in the accents of plebeian democracy, with powerful native motifs, and they incurred the hostility of much of the nobility. He became the target of venomous press attacks, especially after he published his naive but deeply moving epic poem János Vitéz (Hero John). By now, 1845, wherever he went he was received with great affection by the common folk and fellow literati alike. In an era of ever more assertive Hungarian nationalism, his interests became more political. He also began to read socialist authors, St. Simon in particular, and became convinced of the necessity of a revolution. In September 1846 he met a cultured young lady, Julia Szendrey, but it took a long and disheartening struggle for him to overcome her hesitations and her parents’ opposition. Love conquered and in the happy early months of his marriage he produced some of the great love poems in world literature. When in March 1848, under the impact of the revolutions in Paris and then in VIENNA, BUDAPEST too rose in revolt, Petőfi was on the barricades. His Nemzeti Dal (Song of a nation), which on March 15 he read to a delirious reception from the steps of the National Museum, became the battle song of the revolution. But his politics were too radical, even to some of his admirers. He continued to write poems, pamphlets, and articles. In June 1848 he stood for election to parliament but was defeated. That same month he joined the rebel Hungarian army as a captain. His son, Zoltán, was born, on December 15 while he was stationed in the town of Debrecen. He asked for transfer to a battle unit and, in January 1849, he left his wife and newborn son and joined a revolutionary army corps under the command of Polish general Josef Bem, who was fighting with the Hungarian forces against the Habsburgs. He continued to move from place to place, had conflicts with the minister of war in the provisional capital of Debrecen, resigned his commission, and returned to Bem’s army corps as a private. After the new Habsburg emperor, FRANCIS JOSEPH appealed to Russian czar Nicholas I to help put down the Hungarian revolt, Petőfi moved his family to a safe place and, urging his nation to resist to the last, went to the front. On July 31, 1849, after a battle near the town of Segesvár, about six in the afternoon, he disappeared. What happened to him was never discovered. Legends arose and in later years many false Petőfis appeared, but the fate of the real Petőfi remains a mystery to this day.